Kara Rosenthal defends healthcare providers, institutions, executives, and vendors in high-stakes professional liability and related lawsuits. As appropriate, Kara uses aggressive motions practice to win dismissal of her clients from litigation or negotiates favorable early settlements without the expense of mediation or other litigation measures. Kara’s experience ranges from defending hospitals and individual physicians and nurses in medical malpractice trials to building litigation strategy to handle nationwide mass torts defense for medical device and pharmaceutical makers. She also defends mental and behavioral health providers and long-term care facilities. Kara’s practice also involves representation of healthcare providers in board and professional review inquiries, including obtaining dismissals and notifications of no action taken. In 2015, Kara earned accreditation as a Certified Professional in Healthcare Risk Management. 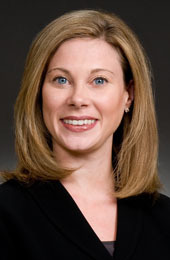 In addition to her professional and product liability experience for healthcare clients, Kara represents health facilities in claim and reimbursement disputes with patients and agencies, such as the Centers for Medicaid and Medicare Services. She also assists clients with Joint Commission and state audit responses, as well as administrative negligence claims. 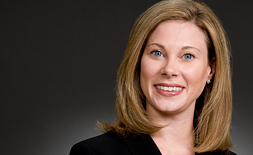 Kara Rosenthal defends healthcare industry clients in high-stakes medical malpractice and negligence matters. She also has significant experience in the nationwide defense of product liability lawsuits for medical device and pharmaceutical manufacturers. Kara is a Certified Professional in Healthcare Risk Management with experience guiding healthcare clients through claim and reimbursement disputes, Joint Commission and state audit responses, and administrative negligence claims. Obtained early voluntary dismissal for a surgeon in a medical malpractice action. Obtained summary judgment in favor of a physician's assistant in a medical malpractice lawsuit alleging surgical malpractice resulting in partial paralysis. Defended an independent diagnostic laboratory against claims brought by a patient who alleged that incorrect interpretation of her pap smear tests caused a delay in her cervical cancer diagnosis. Defended an independent diagnostic laboratory against allegations that its equipment incorrectly reported a paraplegic's antibiotic resistance. WTO's client was ultimately dismissed from the case without financial penalty. Obtained Rule 12 dismissal of a defamation case against a psychologist who performed a parental responsibilities evaluation in a child custody dispute. The order granting motion to dismiss was upheld on appeal, and WTO won an award of defense costs for our client. Won summary judgment on behalf of a chiropractic practice in a case alleging negligent lumbar spine manipulation resulting in permanent disc injury. Obtained early voluntary dismissal of a child psychologist in a section 1983 civil rights action following a child custody dispute. Obtained Rule 12 dismissal on behalf of a social worker in a wrongful death case following an adolescent suicide. Awarded attorneys' fees and defense costs. Obtained early voluntary dismissal of a psychiatrist in a wrongful death case alleging premature discharge. Obtained early voluntary dismissal of an emergency medicine physician in a case alleging failure to timely obtain a cardiology consult leading to cardiac arrest and permanent neurological injury. Obtained early voluntary dismissal of a psychiatric facility in a wrongful death case following an adult suicide. Obtained early voluntary dismissal of a telemedicine radiologist in a case alleging failure to timely read and communicate imaging findings. Panelist, "Chronic Pain: The Narcotics Problem," and co-presenter, "Pain Management: The Quagmire of Drugs, Drugs, and More Drugs," presented at the International Association of Defense Counsel Annual Meeting, Colorado Springs, CO (July 6, 2015). "Social Media and Cyber Liability," presented to Colorado Healthcare Associated Risk Managers, Denver, CO (March 2014). "HIPAA: The HITECH Act's Impact: Beyond the Doctor's Office" (November 18, 2013). "Defending Suicide: Investigating and Defending a High Profile Event," presented at the American Society of Health Risks Managers Annual Conference, Phoenix, Arizona (October 19, 2011).